MOSCOW, September 29. /TASS/. Russia hasn’t seen "any proof" in the preliminary findings on the MH17 crash revealed by the Joint Investigation Team (JIT) on Wednesday, Kremlin spokesman Dmitry Peskov said in an interview with the BBC. From the very beginning, Russia has supported the idea of an exhaustive investigation into the July 2014 disaster and wanted to be a full-time participant of the investigative team, Peskov said. He expressed regret that Russia was not allowed to take part in the investigation, although it has been constantly providing information upon requests by the investigators. Asked whether Russia accepts the results from the investigation, Peskov said these are only preliminary findings and the investigation will continue until 2018. "So we still have to wait until the final verdict." "There are still lots of unclear things. There are still lots of contradictions. And we all have to find answer to the contradictions," he said. "There was nothing to accept or deny," Peskov said, stressing that these are preliminary findings. "We still have to investigate, we still have to continue investigation," he said, stressing: "Unfortunately, we haven’t seen any proof." "We cannot accept as a final truth what they say. I bet you haven’t seen any proofs of the statements. We have to be very precise. It’s a very serious tragedy. We cannot operate only statements without any proofs, without any details," Peskov said. "We know the devil is inside those details and unfortunately we are still missing lots of the details," he added. On Wednesday, the Joint Investigation Team consisting of representatives of the Netherlands, Ukraine, Australia, Malaysia and Belgium, presented its first preliminary results of the criminal investigation into the MH17 crash in Donbass. The JIT claims that the plane was shot down with a BUK missile brought from Russia’s territory. The investigators said the missile was launched from the Pervomayskoye village to the south of Snezhnoye, which was controlled by self-defense militias at that time. The JIT has not studied the data provided by Russia that rejected this version. Russia’s Defense Ministry said it doubts that the conclusions of the investigators are objective. "The data, which the investigation team presented at a briefing on Wednesday, had been taken from two main sources: the Internet and Ukraine’s security services. Therefore, the objectivity of that data and consequently the conclusions made on its basis cannot but be doubtful," the ministry’s official spokesman Igor Konashenkov stressed. He also assured that no Russian air defense systems have ever crossed the Ukrainian border. The Malaysia Airlines Boeing -777 flight MH17, which was on its way from Amsterdam to Kuala Lumpur crashed in Donbass on July 17, 2014. 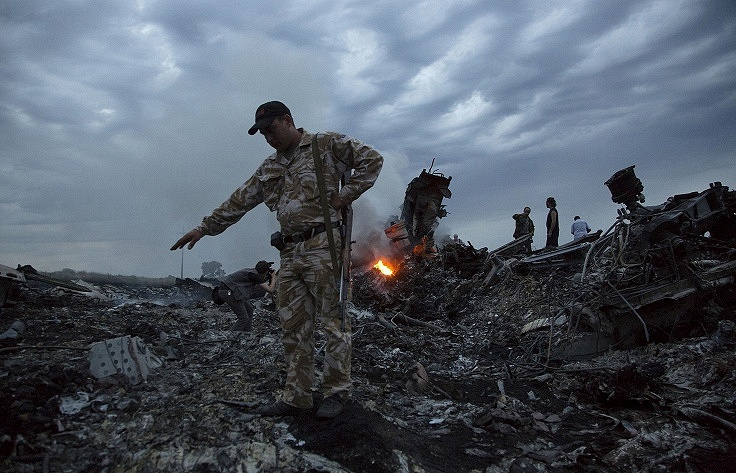 All the 283 passengers and 15 crew members, nationals of ten countries, died in the crash.